Galaxy on Fire 3: Manticore is now a pure space shooter. While developer FishLabs has taken away some of the other elements present in the other versions, this makes the gamed more accessible to casual gamers and those who just want the action element. And let’s face it, a lot of people just want the action. The controls have been simplified. The right side of your screen controls the roll, slow down and speed up, while the left side manages your ship’s movement. If you’re within range of an enemy your ship fires automatically. No need to mess around with the aiming either as your reticule aims at the target automatically too. As the gameplay trailer shows, Galaxy on Fire 3 is the best looking yet, with the colors and lighting visually impressive. The environments are also packed with a lot of objects to look at. If you want you can shift modes and pause the game and capture an image. Of course Galaxy on Fire 3 is all about the action and it’s very easy to get into. You pick a mission and your ship is teleported there. Missions range from shooting an enemy to protecting cargo, which also means shooting at the enemies. It may lack the complexity of the previous games, but it is also enjoyable. 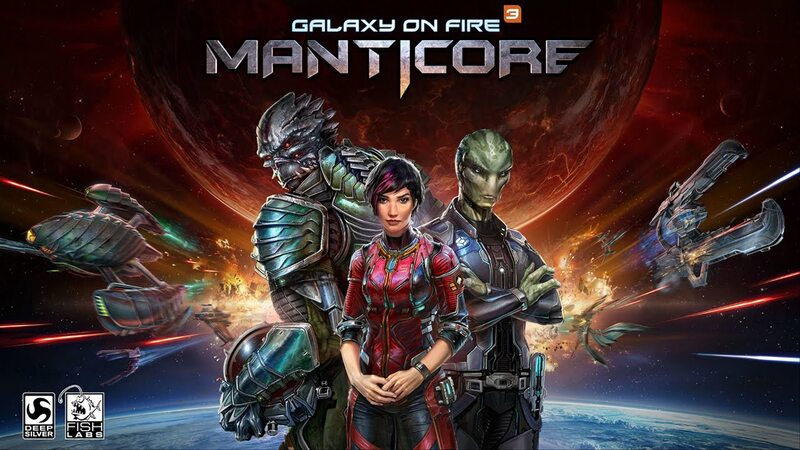 If you have played the previous Galaxy of Fire games, you’ll want to check the different approach here, and even if you haven’t played them, try it anyway as the action is fast and furious.